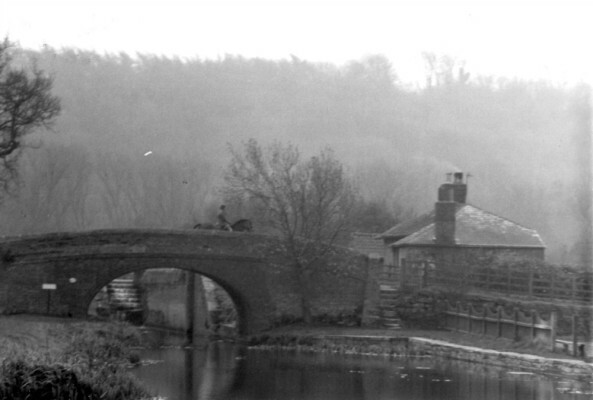 A rider is crossing the canal bridge by the Rutland Arms (The Dirty Duck) at Woolsthorpe. Not sure of the date but would have been 1950s to 60s. There used to be what we called the boat race along the canal. I believe it started possibly near Newark but others may know of more detail than me. It was for single and double canoes, and the contestants raced on the weekend once a year. They had to leave the water at each lock to get round them and re-enter on the other side again. In those days the canal was quite overgrown in some areas and there were a lot of Swans. I think the race ended at the Dirty Duck as I remember seeing two teams having a tug of war at the foot of the bridge as shown in picture, the loser ending up in the canal. Us local lads contributed to the excitement of the event by going ahead of the race and stiring the swans up unbeknown to the competitors (we think), so they got a good welcome from the sides as they passed – yes some did fall out. Item: Farmer Harry Daybell driving his prize pigs.